Video footage of a racially-charged arrest in Texas shows the police officer used excessive force and indicates he falsified details of the incident in his official statement. In response to the leak, the charges against Jacqueline Craig were dropped. Through what he called a trusted source, Lee Merritt, Craig's attorney, obtained police body camera footage of the December 21 arrest. The arrest occurred after Craig called police to report that a neighbor had assaulted her young son. Video of the arrest captured by Craig's 19-year-old daughter was immediately posted on Facebook Live and went viral. The newly released video from the arresting cop's bodycam shows him kicking Craig's 15 year-old daughter. Merritt's previous requests of the Fort Worth Police Department (FWPD) for that video had gone unfulfilled. In addition, Merritt accessed FWPD documents related to the arrest. The video and documentation were given to various news outlets including The Root, which released the materials early Thursday. 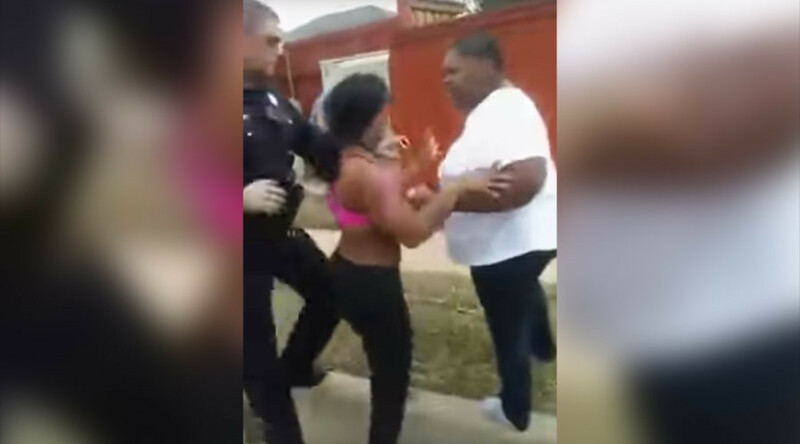 In response to the leak, Fort Worth authorities have dropped all charges against Craig and her 19-year-old daughter, Brea Hymond. The city also announced that the neighbor, Itamar Vardi, will be charged with a Class C misdemeanor assault charge, punishable by up to one year in jail and a $4,000 fine, the Fort Worth Star-Telegram reported. Merritt had previously called for the neighbor to be charged with felony assault. 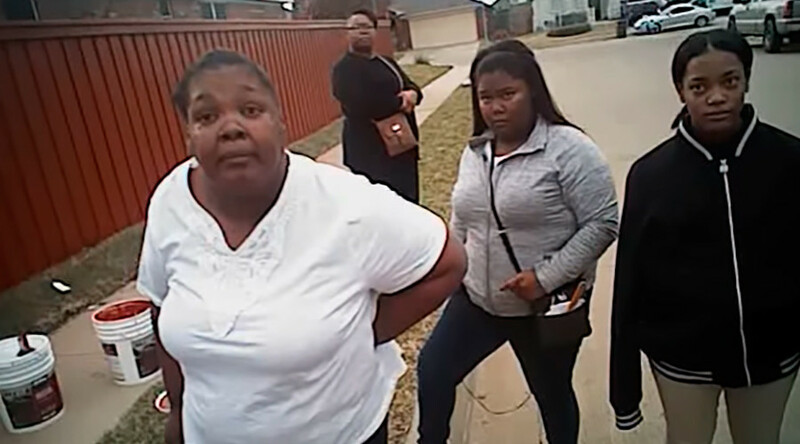 Craig, a 46-year-old black woman, and two of her daughters were arrested on December 21 after she called police to report that a neighbor had grabbed her 7-year-old son by the neck for littering. Officer William Martin, a 36-year-old white officer, responded to the call and proceeded to escalate tensions at the scene, focusing on Craig's parenting and not the neighbor. 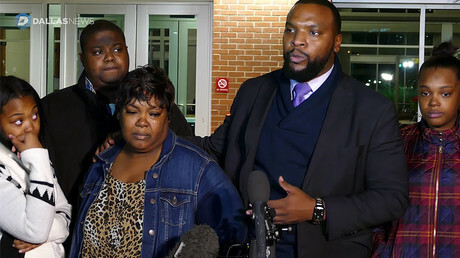 When Craig's 15-year-old daughter attempted to step between a heated Craig and Martin, the officer sprung into action, pointing a Taser at Craig and aggressively arresting her and two of her daughters. Craig and Brea Hymond were charged with resisting arrest, interference with a "peace" officer and failure to provide identification. The 15-year-old daughter was not charged with a crime. Hymond had recorded the arrest of Craig and Craig's 15-year-old daughter before she, too, was arrested. The footage from Martin's body camera complements the recording of the arrest taken by Hymond. The newly released footage shows that Martin kicked the handcuffed 15-year-old daughter as he was placing her in his police vehicle. It also shows that Martin used excessive force on a handcuffed Brea Hymond to compel her to give him her name. Martin's statement to FWPD's Internal Affairs unit is included in the police documentation obtained by Merritt. In the statement, Martin said that the neighbor, a white male, admitted to grabbing the boy by his neck. "The W/M [white male] stated that a child had thrown a piece of trash in his yard," Martin said in his statement. "The W/M approached the child and grabbed his arm and told him to pick up the trash. When the child refused, the W/M grabbed the child by the back of the neck and demanded that the child pick up the trash." Martin, who was only suspended ten days for his behavior, added in the statement that despite the neighbor's admission, he did not believe Craig's version of events, saying her "account of 'choking' may have been exaggerated." Prior to Thursday's announcement of the new charge, Merritt said the neighbor's admission had been consistently denied by the FWPD. Furthermore, Merritt said Martin's version of events in the officer's statement given to the Internal Affairs unit includes multiple falsehoods that are obvious in the bodycam footage. "Martin states while he was handcuffing Jacqueline Craig, Brea Hymond pushed him," Merritt told The Root. "Brea Hymond never approaches Martin as she stands at a distance recording the incident. He further states Craig pulled away her arms and actively tried to resist arrest. This never happens." Merritt added: "He also states Brea Hymond pulled her arms away and resisting arrest, this never happened. [Martin] further states Jacqueline Craig refused to identify herself, which she is seen doing in the video at 11:10." "In order to justify false charges he lies about several facts clearly proven false by his bodycam video," Merritt said. Other documentation obtained by Merritt indicates that Martin had used excessive force on two African-American high school students who were attempting to run from a Taser-wielding Martin in 2013. The students were among many who had accessed the roof of their high school. Martin was not punished for the incident. Martin has appealed his 10-day suspension with the Fort Worth Civil Service Commission. He is back to work for the FWPD, but Merritt said the department is "hiding" him on the job. "By manipulating, delaying and denying the release of bodycam video, police departments embolden bad cops to brazenly violate civil rights in high definition, confident that these images are not likely to be released to the public. Just as this video from Martin was not willfully released by the FWPD," Merritt said, according to The Root. Merritt says the Craig family has four demands: "Fire and charge Officer Martin with assault, perjury, false arrest and official corruption; charge the neighbor with felony assault of a minor; and drop the charges against the Craig family." 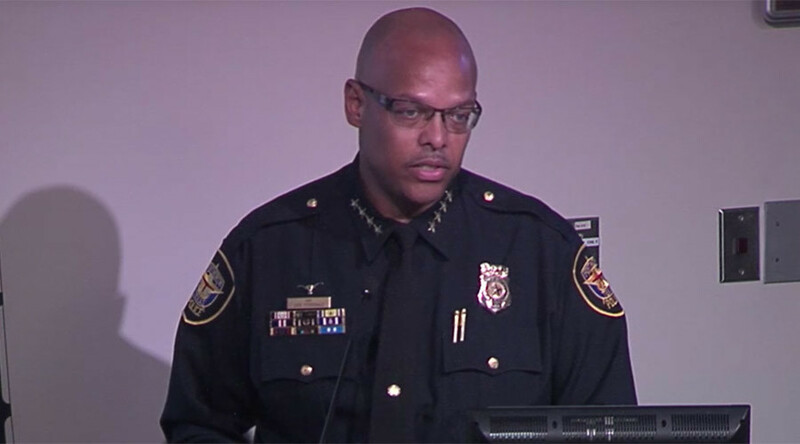 Earlier this month, Fort Worth Police Chief Joel Fitzgerald said Martin was in violation of department policy and that he was sorry for his behavior, AP reported. Martin will undergo additional training, Fitzgerald said. 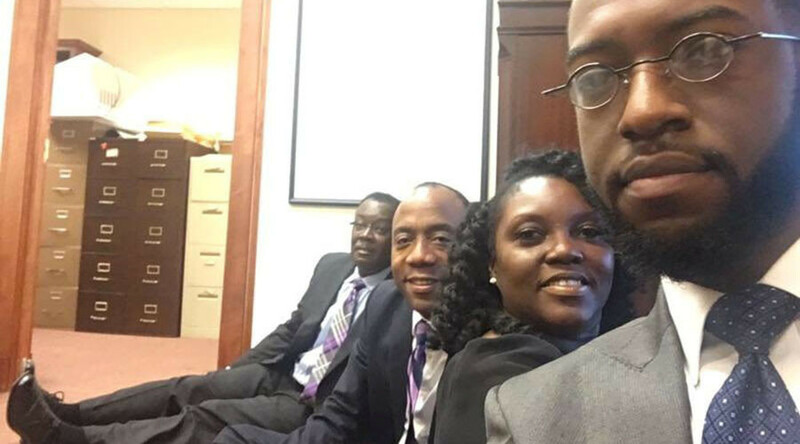 On Saturday, three black men armed with AK-47s were detained and released by police outside Craig's home. The men were followed by a group of about 20 people, according to the Star-Telegram. Police referred to the men, who did not threaten or point their guns at anyone, as protesters, according to KXAS.